The beautiful republic of Malta, where a wide variety of Malta property for sale can be found, consists of an archipelago of seven islands located just south of Sicily in the crystal-clear waters of the Mediterranean Sea. Only three of the islands are inhabited, and all offer a breathtaking array of Malta property for sale, from luxury apartments to beachside villas. These are Malta Island, the largest island of the archipelago; Gozo, also known as the mythical isle of Calypso, or ‘the place where time stood still’ due to its timeless natural beauty; and Comino, famous for its blue lagoon. The islands with Malta property for sale consist of gently rolling hills (the highest point being Ta' Dmejrek at 830ft near Dingli on Malta Island), sun drenched terraced fields, and beautiful natural bays and harbours. The towns and villages that dot the hillsides are steeped in history, with ancient fortified walls, beautiful churches, and even temples built for long-forgotten gods. The climate of the islands consists of long dry summers and year round sunshine, the perfect climate, as voted by International Living in 2007, to rest and relax and enjoy your Malta property. Malta’s location at the tip of Southern Europe not only provides the beautiful climate, but also accounts for the rich and diverse history and culture that is found on the islands. Their strategic position between Africa and Europe led to the islands, which have many lovely properties for sale (see below), being a focus for many civilisations and empires through the ages, all of which have left their mark on the islands. Not only are there many ancient fortifications and historic monuments scattered over the islands, but also a strong religious connection with many grand buildings combining beautiful architecture with historic importance. The islands are still staunchly Roman Catholic due to the shipwrecking of St Paul on the islands around 60AD, and there is a beautiful church or secluded chapel for every day of the year. 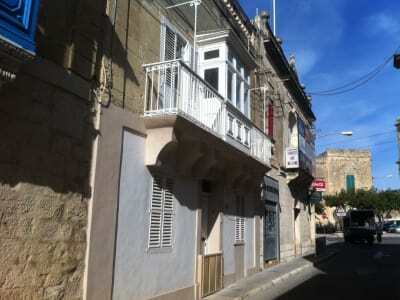 Despite this, the laid back attitudes of the locals cater for all religions while offering a warm welcome to visitors viewing the churches and chapels or wishing to join in their vibrant local religious festivals – all of which can be enjoying not far from your own Malta property for sale. The most recent culture to make its mark on Malta were the British, when the islands with became part of the British Empire in 1814 after the Treaty of Paris, ending the occupation of French forces under Napoleon. This has left a very British feel, with the official languages being both English and the native Maltese. English is widely spoken and is taught in schools as a primary language, while other common European languages are taught as foreign languages. Though the islands regained independence in 1964, many of the systems of government, schools and healthcare remain based on the British model (though the free-on-delivery health system is much more effective; ranked no. 5 by the World Health Organization, opposed to the UK’s own ranking of no.18). The islands are members of the Commonwealth and joined the EU in 2004, adopting the Euro currency in 2008. 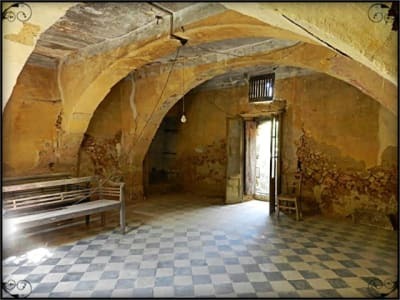 Save the British, perhaps the biggest influence on the islands were the famous Knights of Malta, an order that ruled the islands for 250 years, and built many of the historic fortified towns and religious buildings. 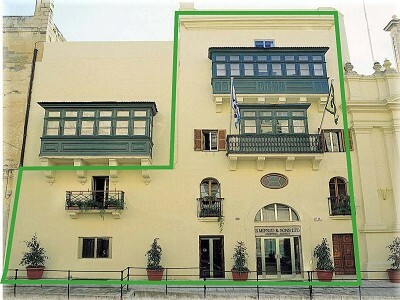 It is the symbol of this order, the famous Maltese Cross, that is synonymous with the islands. In addition, Malta, as a whole, was awarded the George Cross in 1942 in recognition of the bravery of its citizens in defending the islands from enemy attack during WWII. The flag of Malta still bears a replica of this in the upper right corner. The islands, with many Malta properties for sale, offer a true taste of Europe, with the Maltese culture drawing on the best of the many varied cultures that are intwined in its past. Popular dishes are ecclectic, with strong African, Indian and Italian influences. Likewise, a trip to the National Museaum of Fine Arts, housed in a breathtaking Rococo building dating from 1570, will yield many examples of all forms of art popular in Europe from the Renaissance to the present day, and the many theatres and open-air venues offer a huge variety of plays, concerts and musicals that cater for every concievable taste. It is extremely hard not to eat and drink well when you stay in your Malta property. From the host of restaurants selling world cuisines to the fresh fish markets still operating on the harboursides and the local markets selling fresh produce, food is something the Maltese really appreciate. Less well known are the award winning. All of the main vineyards offer guided tours and wine tastings along with museums of the history of wine. The Maltese Islands which offer beautiful Malta property for sale have a wide range of bars, clubs and restaurants, a choice as eclectic as the islands themselves and truly cater for all tastes. There are also numerous festivals and concerts throughout the year, ranging from modern pop to classical, held in the breathtaking surroundings of the baroque churches. The Valetta Arts Festival is perhaps the annual focus for true Maltese culture, consisting of exhibitions of all the arts, and much else besides. Each village also holds its own unmissable fiesta during the summer months, a vibrant festival of fun, food and drink, usually dedicated to the saints and culminating in a spectacular fireworks display. Amongst the many theatres, cinemas showing the latest English language blockbusters, romantic harbourside restaurants and casinos, it is extremely hard to find a moment to be bored. 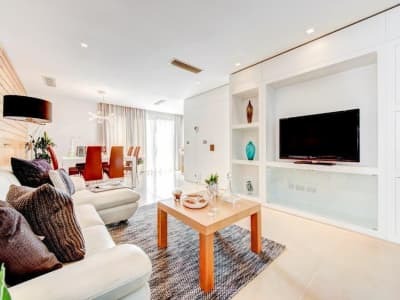 Bustling St. Julians (especially the area of Paceville), Bugibba, Mellieha and Marsascala are the focus for young and old alike that seek the best of the islands for vibrant entertainment and modern facilities. On Gozo, the fishing villages of Marsalforn and Xlendi offer the best in lively entertainment venues for food and wine. The capital is Valetta, a city that boasts one of the highest concentration of historic structures of anywhere in the world. The city is a Mecca for lovers of history, as indeed are all the islands in the archipelago, as shown by the numerous museums and exhibitions. Valetta, full of affordable Malta property for sale, manages to retain all its old-world charm, with narrow winding streets and hidden Baroque churches, and seamlessly combines this with all the moden facilitiess expected from a capital. 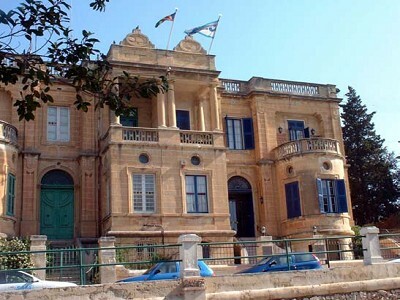 In fact, the beautiful town is considered so historic and picturesque it has been listed on the UNESCO World Heritage List, along with the Megalithic Temples and the Hal Saflieni Hypogeum, a labyrinth of underground chambers probably used as both a burial site and a temple. It is also home to St John’s Cathedral where two of Caravaggio's most impressive works can be found, ‘St. Jerome’ and ‘The Beheading of St. John Baptist’. To one side of the spectacular Grand Harbour is the fortified Baroque city, while to the other is Vittoriosa, the older ‘City of the Knights’. 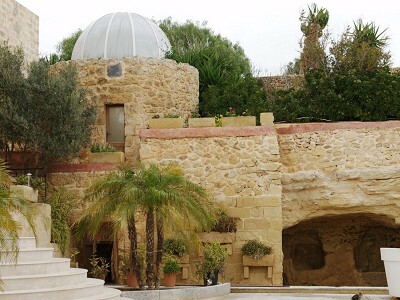 Gozo boasts the oldest freestanding structure in the world in the megalithic temples of il-Ggantija, as well as many beautiful Malta properties for sale. These truly remarkable feats of engineering date to around 3500BC, long before Stonehenge or the pyramids of Egypt. In all there are seven megalithic temples on the islands. These coexist with many Roman buildings, perhaps due to Malta being a favourite for Roman soldiers retiring from active duty. Away from the villages, the beautiful sunny climate of Malta, allows a wide variety of outdoor pursuits. One of the most popular is walking, simply to enjoy the stunning views or to visit the many varied historical sites, from prehistory to the more recent past, and everything in between, including the many arcitectural legacies of the famous Maltese knights. For those that are more impatient to view all the stunning seascapes or ancient wayside chapels, there are many bike hire shops, horse riding, or even rock-climbing equipment to scale the majestic limestone cliffs. 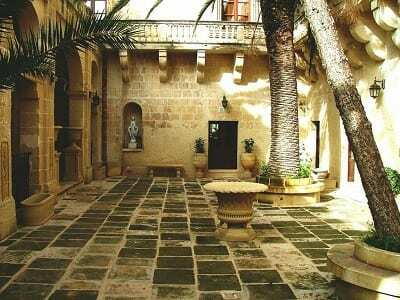 For those buying Malta property for sale that prefer their nature a little more tamed, there are many historical garden oases amongst the vibrant towns. 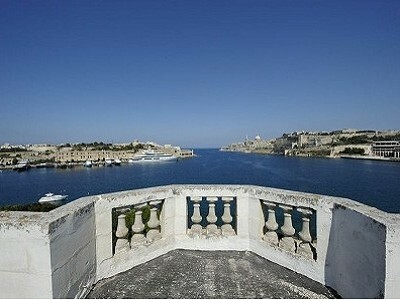 Amongst the many sports and lesiure opportunities of the islands with Malta property for sale is the spectacular diving. Beneath the crystal waters of the Mediterranean are a host of reefs, caves and wrecks waiting to be explored. The numerous local diving schools cater for all levels of expertise and can offer a wide range of equipment and dive sites, from coral reefs teeming with colourful fish to Roman artifacts buried beneath the surface. Of course one of the greatest benefits of the islands with Malta property for sale are the breathtaking and largely untouched coasts around the archipelago, consisting of long sandy beaches, rugged cliffs and tranquil bays and harbours. The sun drenched climate allows year-round swimming in the tide-free waters as well as a variety of water sports, with facilities to hire equipment for sports such as windsurfing, water skiing and sailing. There are also unrivalled facilities for land-based sports, including paragliding, clay pigeon shooting, go-karting, golf, tennis, squash and archery, to name but a few. There are also indoor sports centres, gyms, pools and spa. When buying Malta property for sale you are buying into a ‘home from home’ with beautiful scenery and year-round sunshine. Malta property for sale is available for anyone within the EU, and, with the help of a lawyer to guide you through the buying process, couldn’t be easier. Lawyers or notaries draw up the contract, called the konvenju, and typically charge 1% of the purchase value. Stamp duty for foreign nationals currently stands at only 5%, and 10% of the purchase price is paid as a deposit on signing the konvenju. There are good links between Malta and its islands and the UK, with direct flights operated by major airlines.